Dr. Ed was a university student working a summer job at college when he hurt his back. After trying other interventions his parents suggested he see their chiropractor. Dr Ed did not know much about chiropractic before then, but based on the amazing results chiropractic had with him, his relationship with the chiropractor and the personal approach it brought to health care, he decided to do some research. After speaking to his parents about chiropractic as a career, he decided it was the right choice. 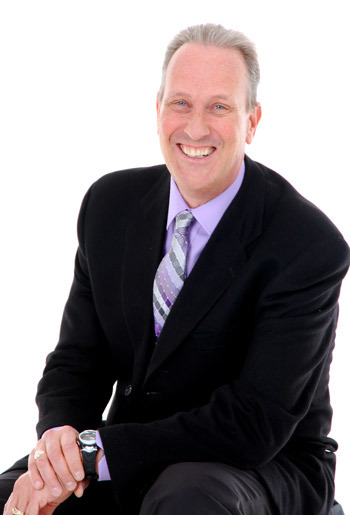 To gain an education on how to help others, Dr. Ed did his undergrad at York University and then attended Canadian Memorial Chiropractic College. Since that time, he’s completed more than 90 postgraduate seminars to keep abreast of the latest research and techniques. He is focused on keeping people well. Dr. Ed and the rest of the team believe that the highest calling of any doctor is to prevent the problem that they treat, knowing that the maintenance of health is better than the treatment of disease. Bayview Village Wellness Centre has been in the same location for 35 years! They provide patient centered care in an ethical and professional environment and have seen four generations of families coming to the office at the same time. When he’s not in the practice, Dr. Ed enjoys spending time with his family, including his wife Susan and their three daughters. One of his daughters is following in Dr. Ed’s footsteps as a chiropractor; another is completing her five-year residency in emergency medicine, and the third has recently graduated from university and intends to be a lawyer. They are health-minded individuals who love being outdoors. His daughters were raised with a wellness lifestyle, considering exercise, nutrition, sleep, a positive mental spirit and regular chiropractic care as vital components of being healthy. Our friendly, warm team looks forward to meeting you. Contact us to take advantage of $25 off all services for new patients!